The zombie apocalypse spares no one - not even children. Prepare the youngest members of your survival team for the fight with our fantastic line of military apparel and zombie clothing for kids of all ages. Here at Zombies Playground, we carry a variety of kids camouflage clothing like camo pants, camo shirts, camo hoodies, camo hats, and camo onesies to help them to blend in when on the run. Our army baby bodysuits provide humorous designs for the youngest military recruits. Boys and girls can wear our selection of kids zombie t-shirts for a playful look, as well. Our kids tactical apparel will help you bring your whole family through the crisis, so that they too can earn the title of zombie outbreak survivor! 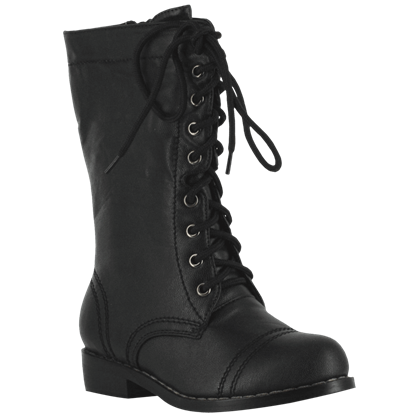 Great for tromping through the underbrush or chasing Daleks across space and time, these Childrens Combat Boots can be worn with just about anything. These lace-up boots are perfect for your pint-sized warrior, equestrian, or noble. 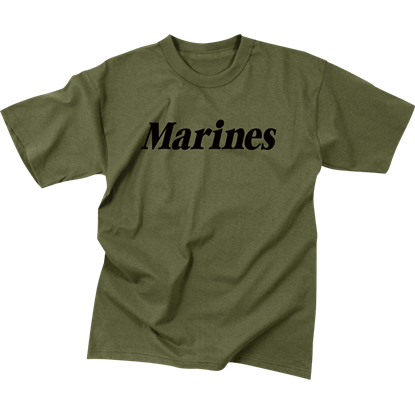 Your little ones understand why you serve so why not let them support you with the Kids Olive Drab Marines T-Shirt. This licensed logo is a great way for children to take pride in those who serve and the country. 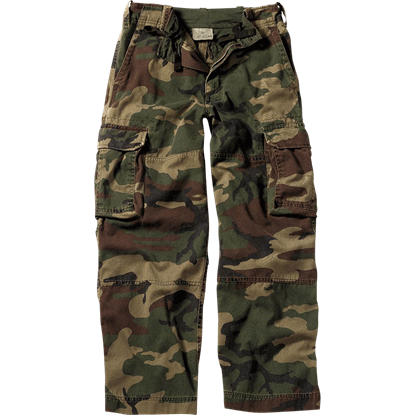 If your children love war games and playing soldier then the Kids Vintage Woodland Camo Fatigue Pants are a great item. Balancing military styles with durable and comfortable clothing this piece is ideal for those soldiers in training.